Low prices don't have to mean low quality anymore. With this new anniversary package, exclusively from Airsoft GI, you can now have both a high performance blaster and not bust the bank! 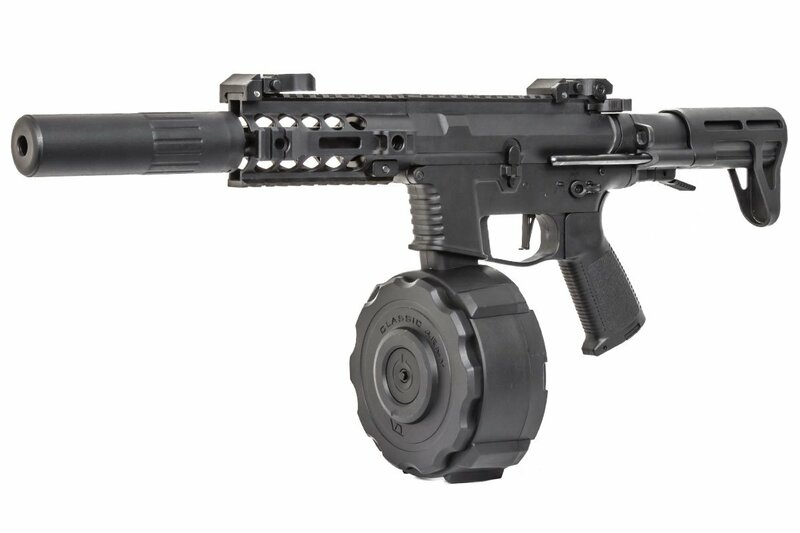 Featuring battlefield ready performance, coupled with the including high capacity auto-winding drum, and a sleek mock silencer for added aesthetics, this is a must-have package for every airsofter. Whether you are a beginner just about to lace up your combat boots for the first time or a seasoned veteran of the airsoft battlefield looking to add to your arsenal, this PXG9 package is the one for you. 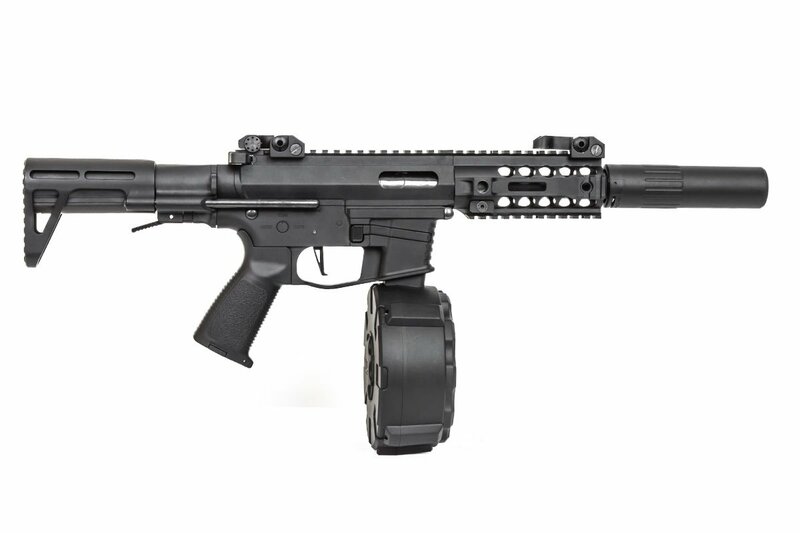 Classic Army refined the SMG airsoft gun with its breakthrough Nemesis X9! Now it's back to do it again with the PXG9! 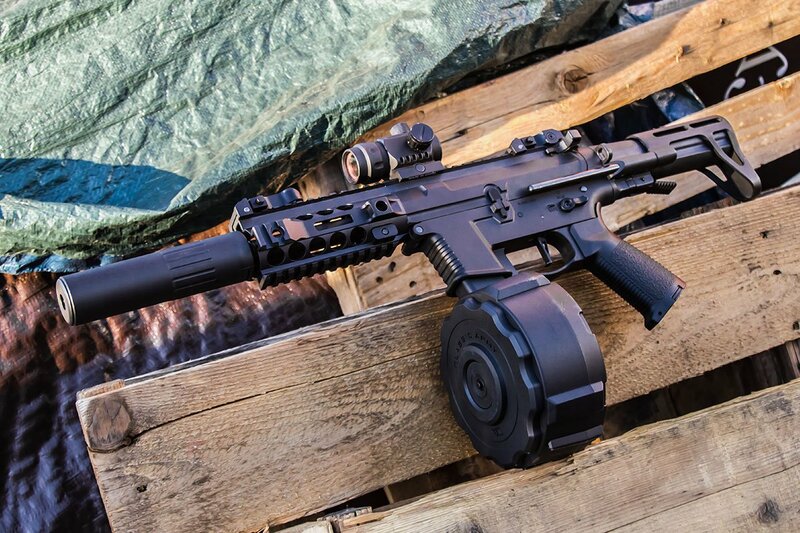 This polymer airsoft SMG features many of the same benefits of it's predecessor, including the compact size and stick magazines, but with a lighter weight and lower cost of entry. The X9 made breaching doors easier. The PXG9 just made it affordable for everyone! This GI Exclusive is the ultimate choice for anyone wanting to change up their play style without breaking the bank! The only thing more incredible than the savings you get from this deal is the performance hiding inside this tiny little airsoft gun. Eviscerate the enemy team's chances at victory, dominate the airsoft battlefield, and seize glory with your own PXG9 complete with drum and mock silencer! does it come programed with semi and full auto? If not, can you do it for me, im a "noob"
The SMG should come stock as Safe - Semi - Auto. The settings can be programmed for 3/5-round burst through the trigger system. How long is the stock barrel. What length would you recommend to extend through the mock suppressor? Just wanted to see if thereâ€™s a ballpark date in when itâ€™s gonna ship. Ordered it a few weeks ago a and got the survey email. What battery type does the AEG take ie stick, butterfly, panel, etc etc? I am really interested in getting this but want to make sure whatever 11.1v Lipo I buy fits, or at least buy the right one. Looking at the 1600+ mah range for longer life. Most lipo configurations 1000mah and smaller fit with no issue. if you go any bigger than that, it needs to be a stick style. What battery configuration does it take? Stick, butterfly, whatever fit, etc etc? What batteries does the drum take? it takes standard 9v batteries. How will I be notified and what do I do to collect it? It will be inside your box. How long is this gun? and do you know RPS? fully collapsed, this gun is 20 inches from the stock to the muzzle. It's ROF is determined by your battery. How many are left In stock for the $1000 gift card? 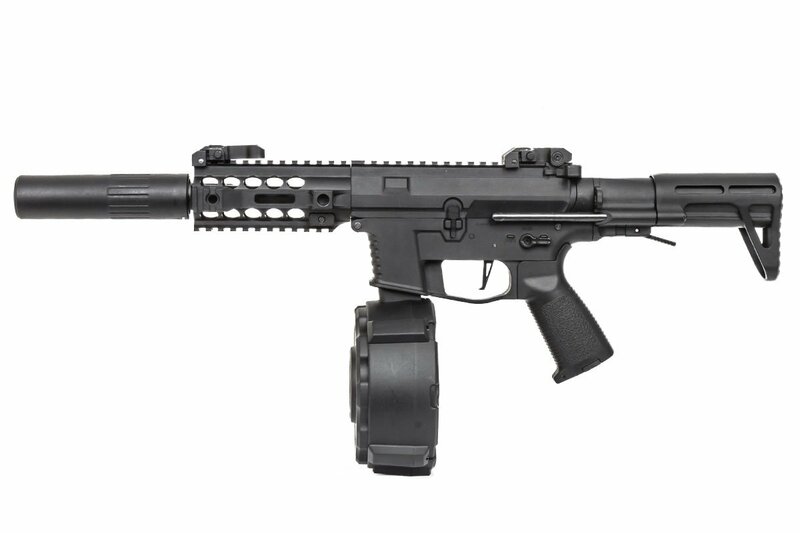 I get my pay check in a few weeks and want to buy this gun. So how many are left in stock for the $1000 giveaway? is the gun full metal or is it polymer. Also can this gun handle a more powerful spring for higher FPS? Can it run.lipo in this? Can it run Lipo batteries?